Voltage Romance Games for Girls! Free to download and free to play, now you can enjoy a fun new romance with several attractive men! 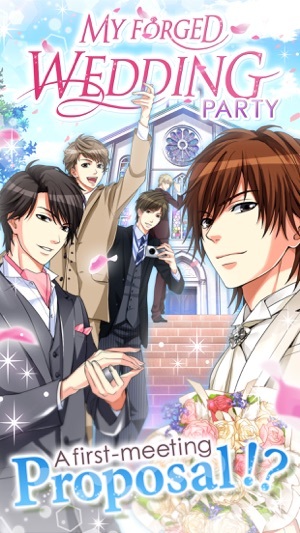 Now available in English for the first time, the wildly popular Romance Drama Application "My Forged Wedding: PARTY"! Playing "My Forged Wedding: PARTY" is as easy as 1, 2, 3! 1. Open the app and tap "New Game"
2. Choose your favorite attractive new husband! 3. 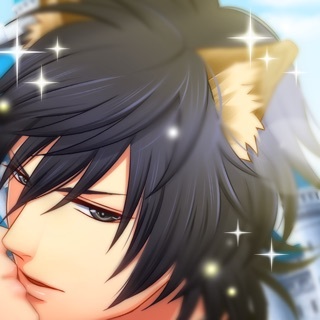 As you read the story, change your avatars, outfits, and defeat your rivals to get his one and only true love's kiss! 4. A sweet, romantic happy ending is waiting for you! You come to a certain cafe to arrange the first meeting between your new fiance and your parents. After being introduced to the five attractive men who are frequent visitors, you are given an envelope. Inside is a note from your fiance...breaking off your engagement! "Sorry to keep you waiting..."
Could it be... one of the men you’ve just met?! Next thing you know, you've agreed to enter into a fake marriage! But what will become of your relationship in the end...?! Suddenly, you're his new wife, but no one can know that your marriage is a fake. 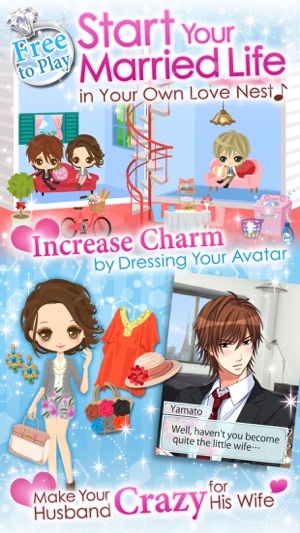 Play the part of a housewife and use your "Charm" and "Wife Points" to win his heart! Your avatar is your in-game personality! She can wear trendy clothes, hairstyles, make-up and accessories which you can make into eye-catching outfits. Collect interior items and decorate your new house to enjoy a lovely newlywed life with your gorgeous new husband!! As your "Charm" increases, so will your new husband's infatuation with his bride! Use Gacha Points to get your interiors to decolate your house! The way to a man's heart is through his stomach...?! Increase your "Wife Points" and get Gacha Points by cooking. He won't fall for you any other way, so you have to keep trying every day and save those points! We are unable to respond in regard to comments made in our reviews. Thank you for your support and understanding. Before enjoying "My Forged Wedding: PARTY", please check the following points. ・You must have a data connection to use the application. Please make sure to enjoy the game where a strong connection is available (to avoid loss of data). ・If the application is uninstalled from your device, you will lose all purchased coins, items, and play data. ・We cannot accept returns, exchanges, or offer refunds on any coins purchased within the application. ・For more information, please make sure to read the in-app "User Agreement" before using the application. TRY OUT THIS GAME ITS SOOOO MUCH BETTER THAN IT LOOKS. AND THIS IS COMING FROM SOMEONE WHO DOESN'T EVER GIVE REVIEWS. SO YEAH TRY THIS ONE ON FOR SIZE YOU WONT REGRET IT I PROMISE YOU THAT 😄😇😁😆😍This game may start off alittle on the slow side, but if you do what I did and 😓(admittedly just end up board out of my skull)😅 and give this one a try you may well find yourself pleasantly surprised at just how enticing and eagerly you find yourself drawn into coming right back just to see what happens next. It truly is entertaining and attention keeping the entire time you read and it's characters all have unique personalities which very, very differently from one another as do their story plots depending upon who you decide to choose at that point in time I personally suggest that you try out Yamato's story line first but in the end it really is just up to how your feeling at that point in time. So good luck and have a great time falling for your new fake hubby and have an even better time as you watch him falling for you while trying to remain nonchalant about the entire situation. I love this game!! I have been playing this for 2 years now and I haven't gotten bored with the game. I find it sad that there's not going to be anymore events but I'm still going to read the main story's because I haven't gotten through the all of them... 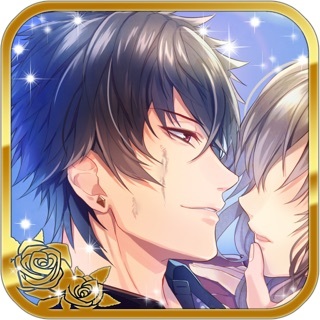 I would recommend this game to everyone who enjoys reading romance! The characters are so funny and so entertaining! Two negative thing is how much wife points it takes to pass a mission and you have to spend money to buy stuff. But I know they are just trying to make money, so I'm not complaining. I hope in the future this game will start having events again, but until then, I'm not gonna leave this game!